PD Hinduja Hospital and Medical Research Centre is conducting a Cardio Pulmonary Resuscitation (CPR) training camp for police officers at Azad Maidan Police Station from December 22-24, 2018. The camp will train 150 policemen from all cadres ie from hawaldars to senior inspectors. The objective of organising this camp is to equip police personnel in handling medical emergency and also to make them aware of the importance of CPR training. During the camp, a team of doctors, nurses, paramedical staff and technicians from the hospital along with American Association of Physicians of Indian Origin will provide free training to the police officers. The camp comprises of training sessions focusing on CPR training, medical emergencies (breathing problems , adult and child choking), injury emergencies (bleeding bandaging), and environmental emergencies (bites, stings and temperature-related emergencies). CPR is a lifesaving technique useful in medical emergencies such as heart attack, wherein someone’s breathing or heartbeat has come to a standstill. CPR is performed to manually revive the heart and thereby restore brain function until further measures are taken to reinstate spontaneous blood circulation and breathing in a person. Joy Chakraborty, COO of PD Hinduja Hospital and MRC said, “The police force is the first point of contact during any emergency. 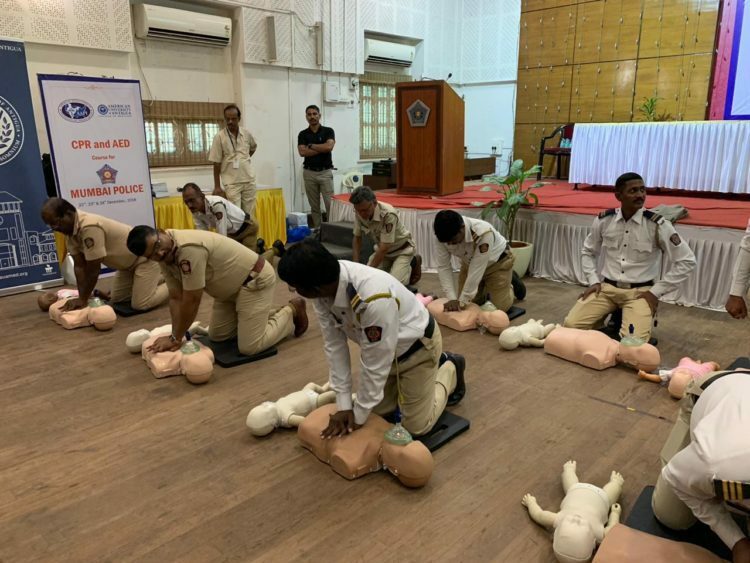 While knowledge is essential we at PD Hinduja Hospital and MRC also wanted to conduct a training camp that introduced the officers to the practical realities of conducting CPR. Being trained in CPR can be invaluable in cases of serious medical distress. These techniques can help save someone who has suffered a heart attack, a near drowning accident or any other emergency situation. We are very encouraged by the response that we have received and will be planning more such camps for the police in the future”. PD Hinduja Hospital and MRC, a leading multispecialty hospital in the country, is committed towards its mission of “Quality Healthcare for All” and in line with its commitment organises various health camps and workshops to spread awareness and educate the masses.